Ever whip up a dish that’s so madly yummy you wanna feed it to everyone you’ve ever met? This is one of those. Yup, Easter’s already hopped on by, but who says that’s the only ham-appropriate occasion? 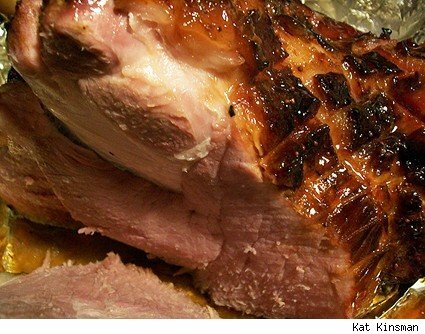 We’d unexpectedly received a smoked, bone-in ten-pounder as lagniappe for being loyal grocery store shoppers, and while we were old hands at prepping its hard, salty country cousin, we’d never actually baked and glazed a city ham. We’ve long been inspired by Aretha Franklin’s ginger ale doused Queen of Soul Ham and have heard tell of a Coca-Cola ham or two, though have never had the pleasure of sampling one. A tad loath to leave the house and brave the holiday supermarket fray, we took stock of what was on hand. Diet drinks weren’t gonna cut the mustard, husband would flip if we drained his precious Pepsi stash, tonic was a tad depressing, then lo and behold — Cheerwine! We’d hauled back cases of the distinctive cherry soda when last we hit the Tarheel State, and had been holding out for a special occasion to dip into the stash. 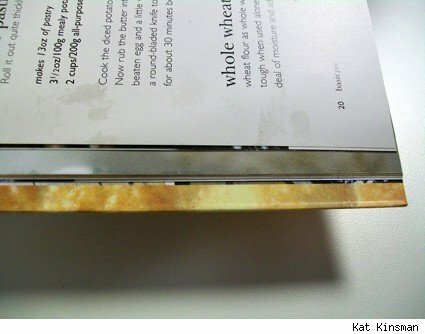 This entry was posted in Old Writing, Recipes, Regional Cooking, Slashfood Archives on April 18, 2009 by Kat Kinsman. NK Lawn & Garden Co. This entry was posted in Gardening, Seeds on April 5, 2009 by Kat Kinsman.